When clients come to BrandCo they get a custom design that both caters to their clientele and represents their brand. 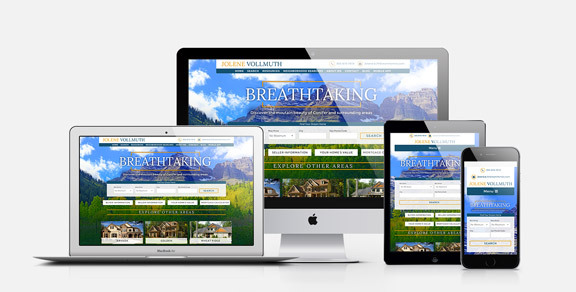 Our talented team of designers and developers are happy to take the template websites Keller Williams agents are given and turn them into something special! Responsiveness is extremely important with any online presence due to the changes within search engines and general usability on the myriad of devices that exist today. We’re so happy that we can help our clients be as future-proofed as possible with their newly designed website. 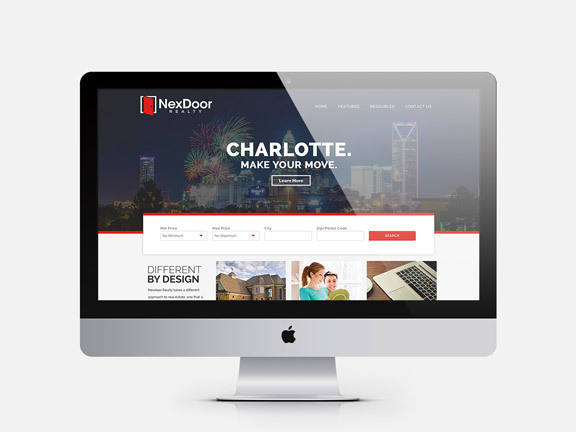 Suzanne Murtha came to us looking for a new city-themed website for her business, Nex Door Realty. The featured image that greets you once you visit the website is a gorgeous city scape of the Charlotte night sky, alight with beautiful fireworks. Further down the page, you’re able to learn more about Suzanne and her team. Calls to action spotlighted on this website include ‘Buying a home’, ‘Selling a home’, and ‘Research a home’. Breathtaking is an understatement when it comes to Jolene Vollmuth’s website. 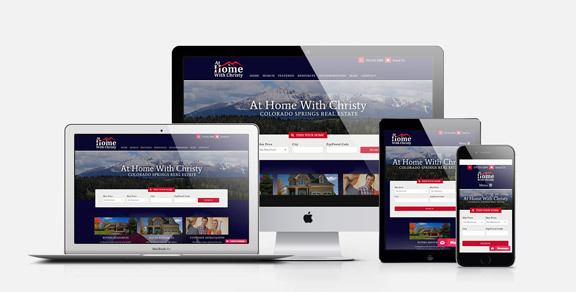 This Colorado-based agent’s site prominently displayed a majestic mountain ridge, thanks to designer, Tony. Six areas are highlighted that Jolene serves, including Arvada, Golden, Wheat Ridge, Lakewood, Morrison, and Littleton. You’re easily able to click on these areas and see available properties within them. This modern-styled website uses bright yet earthy tones throughout and feels extremely welcoming. 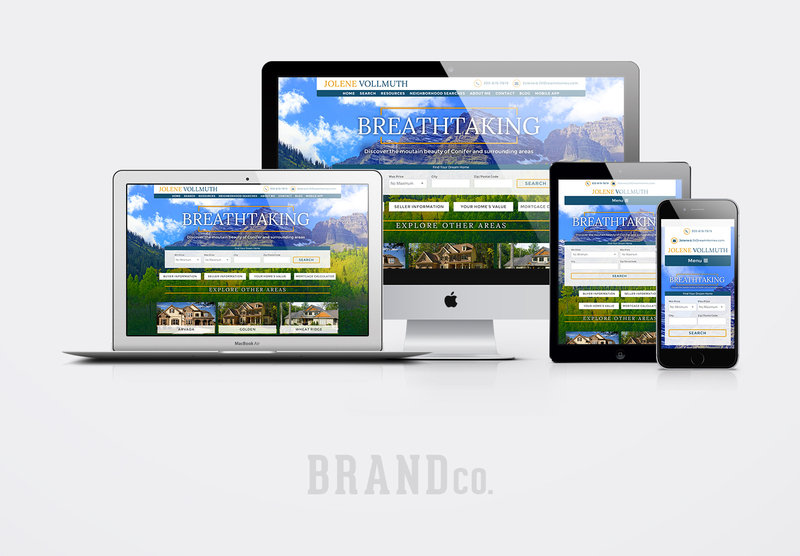 Located in Winter Park, Holly Wilton contacted BrandCo looking for a luxurious design for her real estate website. Our leader designer, Denika, was more than happy to deliver! The design exudes a careful combination of luxury and modern style. 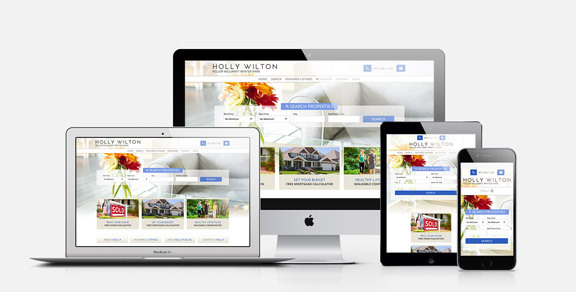 Soon, Holly’s website will be filled with great information on walkable communities that encourage healthy lifestyles. While building out the website, web developer, David, was able to add in some extra spice with the actions that happen while the cursor rolls over various buttons. Such a beautiful website! Christy Dunfee is a Keller Williams agent that specializes in homes for Military relocation in the Colorado area. This patriotic design proudly shines in red, white, and blue thanks to Christy’s designer, Bianca. With the help of our developer, Marc, the site was brought to life with activity. Communities Black Forest and Forest Meadows are being showcased from the website’s menu. You can visit Christy’s website to learn more about her and hear amazing reviews she has received from her clients.